Join us in April at the NEC for Sign & Digital Live 2019. 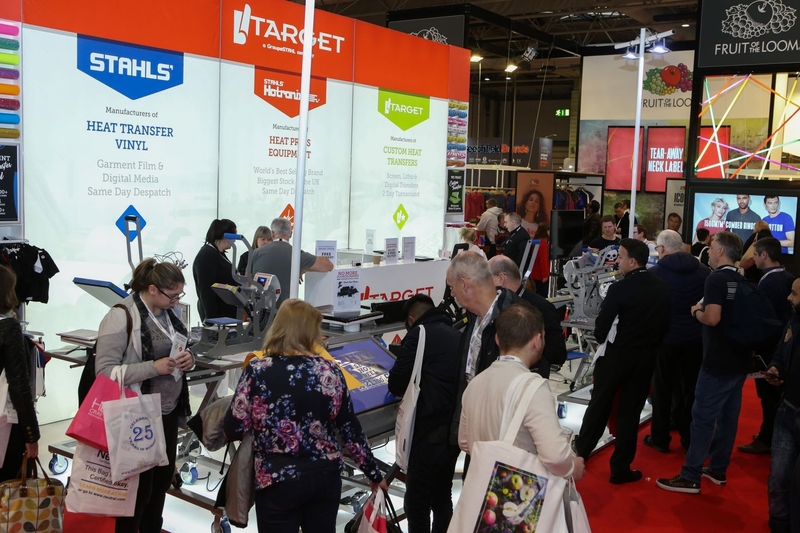 Run over three days (April 2-4) at the Birmingham NEC and is the place to see the latest developments from across the garment printing, signage, display, decor, and design sector. This event is a great opportunity to learn more about heat presses, heat transfer vinyl, and custom transfers. Once again will be showcasing the latest in Stahls’ materials and Hotronix machines along with examples of our custom transfers and how to get started with all of these. If you would like to join over 6000 other garment decorators in attending, then follow the link below and you can register for free. See the latest in heat press technology and garment decoration. Target Transfers will be bringing the world’s most advanced garment decoration machines and materials to Sign and Digital 2019. As the UK home of Stahls’ and Stahls’ Hotronix, Target Transfers is proud to be trusted by fashion, retail and sports brands throughout the UK. Stahls’ Hotronix machines are the heat press of choice among garment decorators and at Sign & Digital you will be able to see why. Join the team on stand to test the unrivalled heat consistency you can get with a Stahls’ Hotronix upper platen. Alongside these heat presses, Target will also be demonstrating materials for decorating sportswear, including Stahls’ heat transfer vinyl and custom transfers with four-way stretch that lasts for 50 washes. HTV available by the metre and transfers available in minimum order quantities of 25. Stop by Target’s stand to learn how heat applied embellishments can help your business. Read about our 2019 Printwear Live show here.